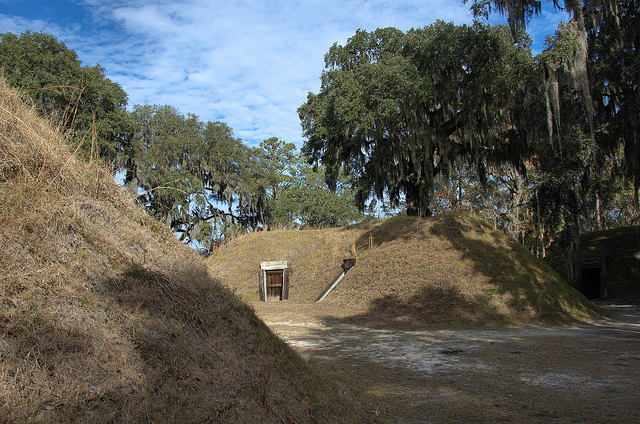 Located near the mouth of the Ogeechee River in Bryan County, Fort McAllister was a Confederate earthwork fortification. 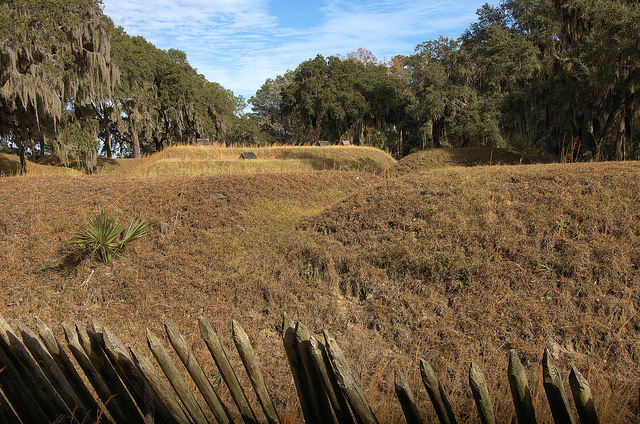 Named for Lieutenant Colonel Joseph Longworth McAllister, who owned the plantation at Genesis Point where the fort was sited in 1861, it provided Savannah’s southern defense against the U. S. Navy. 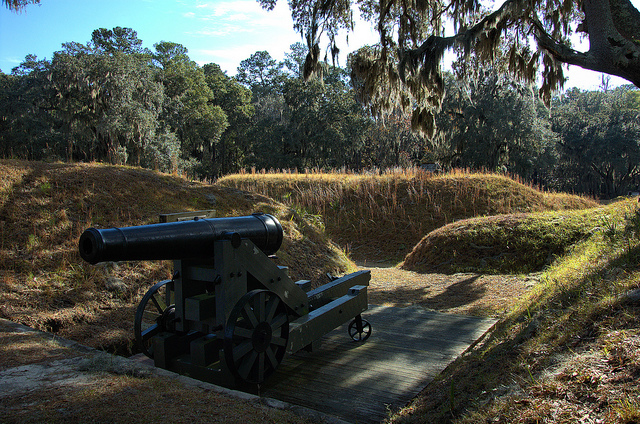 During 1862 and 1863, Fort McAllister successfully repelled seven attacks by Union warships, including the ironclads USS Montauk and USS Passaic. Fort McAllister’s commanding officer, Major John Gallie, was killed in one of the assaults. Though the fort never fell to the Union Navy, the land assault of 13 December 1864 marked the end of Confederate control and thus the end of Sherman’s March to the Sea. 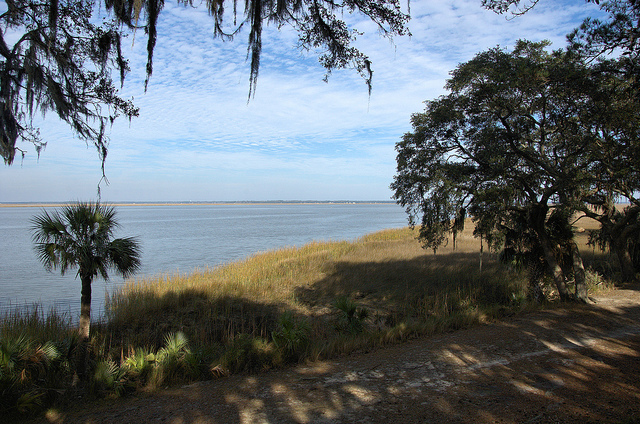 The General himself observed the taking of Fort McAllister from atop the rice mill of the captured Cheves plantation, across the Ogeechee River. 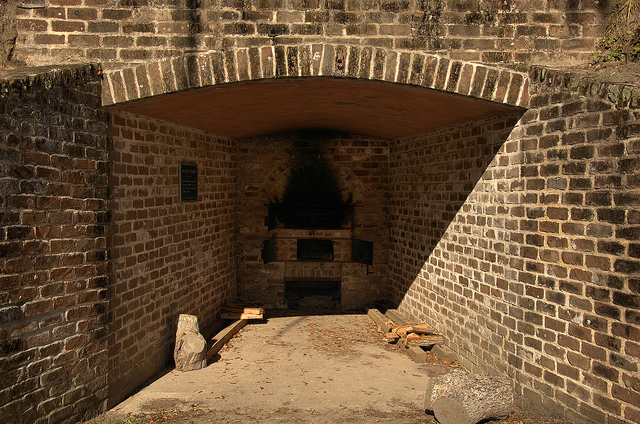 It served for the remainder of the war as a prison camp for Confederates captured along the northern part of the Georgia coast. After many years of disrepair and natural reclamation, Henry Ford, who owned the property at the time, funded a complete restoration in the late 1930s. 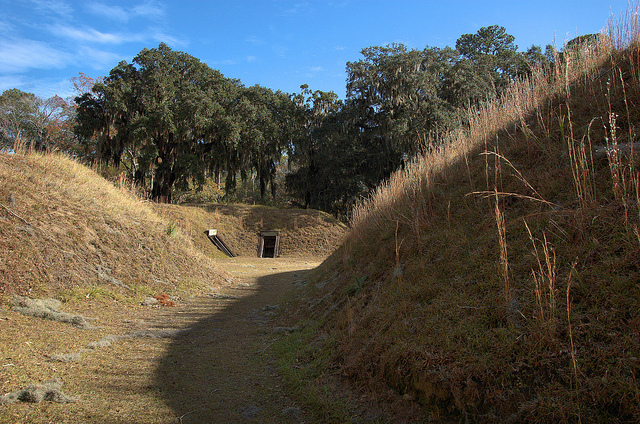 Today, it’s one of the best-preserved earthworks of the Confederacy and features a museum and hiking trails. 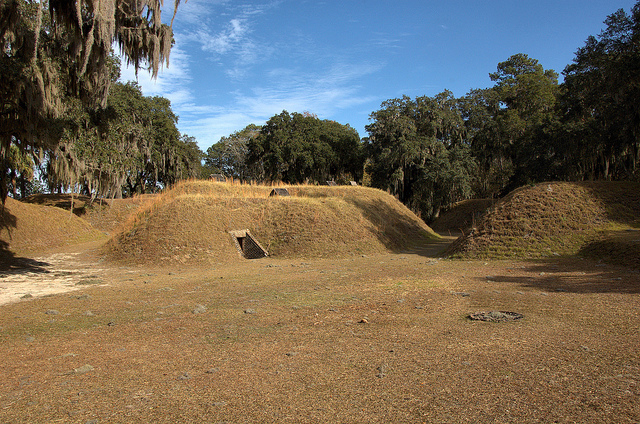 The four images above look more like prehistoric Indian mounds than a stronghold of the Confederacy, but the earthen construction of Fort McAllister was largely responsible for its ability to successfully repel so many attacks by the Union Navy. 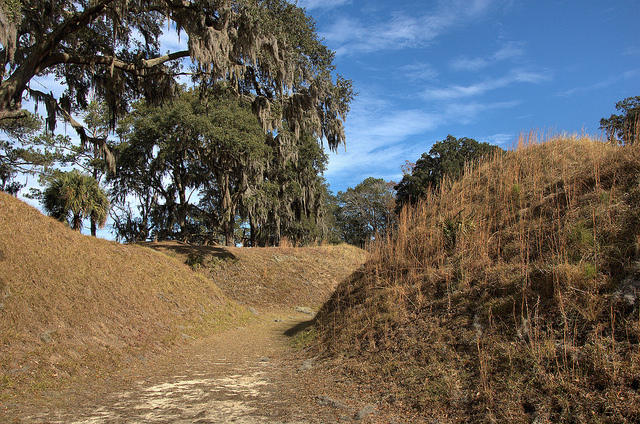 Known as the central bombproof, this area in the middle of the fortification housed soldiers, provided medical care, and prepped and maintained the many canons and munitions necessary to the defense of the site. In 1863 the CSS Rattlesnake (formerly known as the CSS Nashville) took refuge in the Ogeechee River. After being grounded in mud during low tide, the Rattlesnake took heavy fire from Union naval vessels and was completely destroyed. 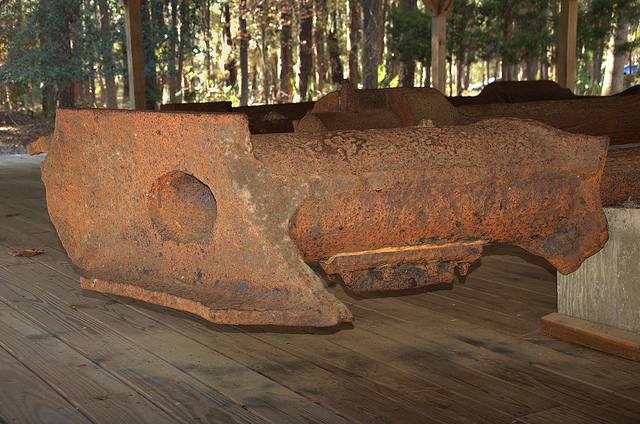 Sections of the wreck were salvaged in 1960, including the engine component seen above.